Cross the dramatic causeway to reach the island of Lindisfarne, on a journey that will stay in your memory forever. 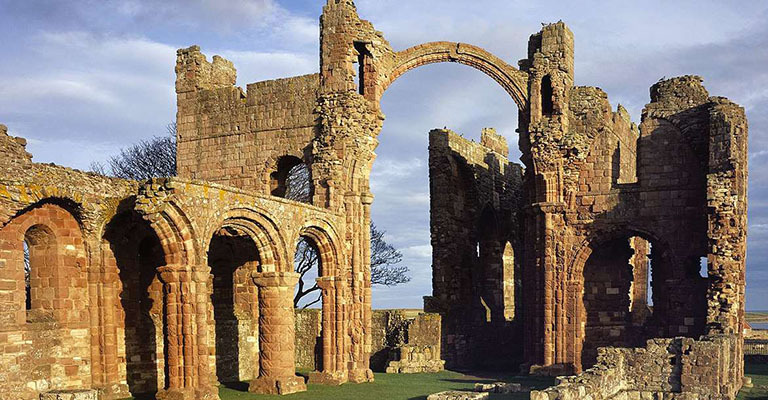 Follow in the footsteps of the ancient monks who built their priory here nearly 1,400 years ago, and explore the wild coastal beauty of Holy Island. Visit the fascinating museum and find out about a grisly Viking raid, the cult of St Cuthbert, and the beautiful medieval manuscript: the Lindisfarne Gospels.